Since cab rental services are considered to be the most comfortable means of commutation over public transport, it is often opted by tourists and even locals for their travelling needs. 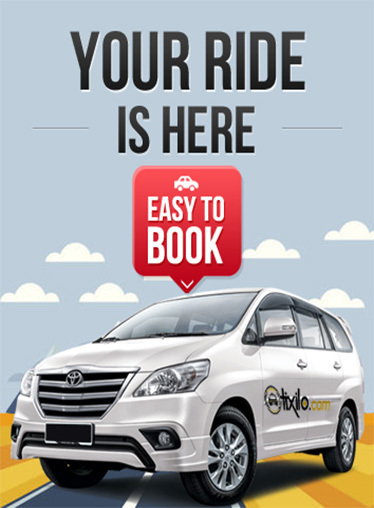 Tixilo cab rentals, which has gained a great reputation of being a quality car rental service in Rajasthan is expanding its network all over India and aims to provide its taxi rental services at pocket friendly price to all tourists and every person who wishes to travel conveniently in style. Why a Tixilo hot one way from Udaipur to Jaipur? A Tixilo cab rental service can be chosen by tourists, locals or business travellers. They can simply log onto the Tixilo website and conveniently book a cab online to enjoy a hassle free and comfortable road trip. We ensure of providing an easy, safe, convenient ride at pocket friendly prices. All our cabs are clean and well maintained ensuring you a one way ride to remember. The distance between Udaipur and Jaipur is 412 kms. You can conveniently book a taxi online at our website, providing information about the pick-up and drop down location and also select the cab type from a range of Sedans and SUVs, in which you wish to travel. Your booking will be confirmed by an email and SMS to your contact. We offer quality one way taxi service on the route from Udaipur to Jaipur. Check out the list of advantages that we offer to our consumers. · Comfortable and safe rides. · Experienced and trained drivers ensuring a hassle free journey. · Large fleet of cabs ensuring no wait. · Round the clock services. · Easy cab booking via mobile app or website.